In Part 2 of this tutorial, you'll learn how to deploy your event-driven microservice application to Kubernetes for easy scaling and failover. In part 1 of this article series, we learned how to create an event-driven microservice application using Vert.x. 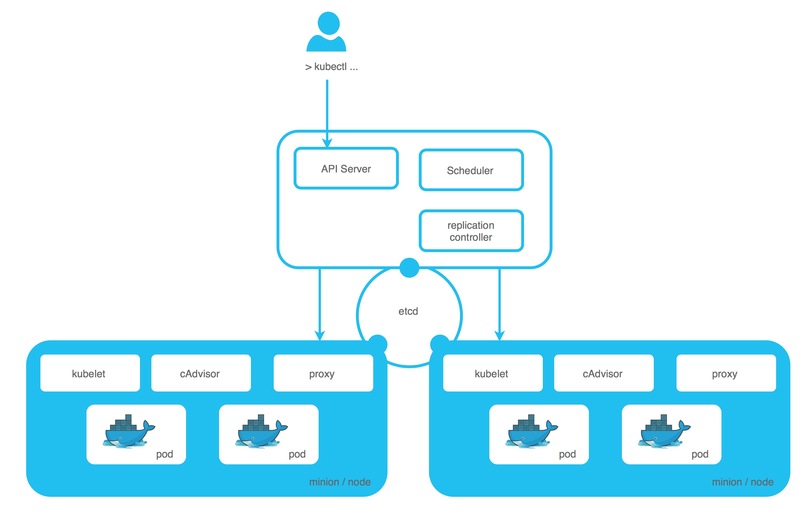 We deployed the application locally, using the multicast cluster capabilities of Hazelcast to connect the microservices. In part 2, we want to deploy this application to Kubernetes, so we can scale the application easily and make usage of the failover and scaling features in Kubernetes. Before we go into detail, I want to introduce some Kubernetes and Hazelcast concepts, which are needed to understand this scenario. Kubernetes is a platform for hosting and managing containers in a cluster of nodes. It provides a layer over the infrastructure, so developers can manage applications and not the infrastructure itself. A Kubernetes cluster is a set of machines (physical/virtual), resourced by Kubernetes to run applications. A Pod is a group of containers, sharing the same network/namespace/volume/IP. A Pod can contain 1..N containers, that are scheduled as one application. You can have your application container and your database container in one Pod, but typically you should create one Pod for your application and another one for your database, so you can scale and control them separately. A Replication Controller (RC) manages the lifecycle of a Pod. While you are free to deploy a single Pod, you need the Controller to ensure that a certain amount of Pods are running. If a Pod dies, the RC creates a new one, if you scale up/down Pods, the RC creates/destroys your Pods. There are currently three types of Controllers, Replication Controller, Replica Set, and Deployment. A Replica Set allows set-based selection and the Deployment is basically a Replication Controller with capabilities for rolling updates. A Kubernetes Service provides a name and a network address for a set of Pods working together. Services are routing the request by the help of labels/selectors provided by Pods. For this article, I assume you have a working Kubernetes instance. If you are working locally, you can use minikube or minishift to test the example. Hazelcast is an in-memory data grid for caching, distributed computing, messaging and more. It is open source (with an option for commercial support and additional functionality) and the default cluster provider of Vert.x. Whenever you run Vert.x in clustered mode, Hazelcast is utilized to create the cluster and to distribute the Vert.x event bus. In part 1, we have already seen the multicast cluster capabilities of Hazelcast, we used it to connect the frontend-, the read- and the write-Verticle. In part 2, we want to create a Hazelcast cluster inside Kubernetes, to connect the Vert.x services running in 1-N Pod(s). Since Kubernetes does not support multicast, we need additional configuration steps to ensure that the Hazelcast node discovery works correctly. We have two common scenarios in Kubernetes, which must be supported by Hazelcast clustering. Scenario 1: We have deployed one Verticle, running in one Pod. Now we want to scale up/down this Pod (by the help of the Controller / Horizontal Pod Autoscaler) to N Pods. In this case, each Pod is creating a new Verticle instance and we want to ensure that all instances are running in the same Hazelcast cluster (sharing data, communication). Scenario 2: We have deployed many (different) Verticles, each running in a separate Pod, handled by its own Controller and accessible through a (Kubernetes-) Service. In this case, we want to ensure that those different Verticles (services) are connected to each other. In our case, this means, that we want to ensure that the Gateway-Verticle can access the Read- and the Write-Verticle using the event bus. As mentioned before, Kubernetes does not support multicast, and so we must add an additional Hazelcast configuration to discover all Vert.x instances running in Kubernetes. You could configure the Hazelcast TCP discovery, but this approach is not very cloud friendly, since internal IP addresses may change at any time. To solve this, Hazelcast introduced a Discovery Plugin API and released a Kubernetes plugin. Also the Vert.x team has released its own Kubernetes plugin based on Hazelcast's discovery API, I will focus here on the Discovery Plugin released by Hazelcast. This plugin has some additional useful options and the examples in this article will run out-of-the-box. The Hazelcast plugin offers two main approaches to discover cluster members in Kubernetes. 1) DNS discovery: if DNS is enabled in your Kubernetes deployment, each Kubernetes service creates a DNS entry (in the Kubernetes namespace they are running). The plugin retrieves each record and tries to connect to a specific service. If no service name was provided, it connects to each service found in the namespace (fallback). This approach has the following disadvantages: you either use a single Kubernetes service as the entry-point for all of your Verticles or you connect all your Verticles (in one Kubernetes namespace), even if you don’t want it. 2) Kubernetes Service Discovery using the REST API: The Kubernetes master provides a REST API for service discovery. This API is quite powerful since you can also get access to Services using labels and other metadata. This gives you the freedom to group/partition your Hazelcast cluster according to your needs in one Kubernetes namespace. 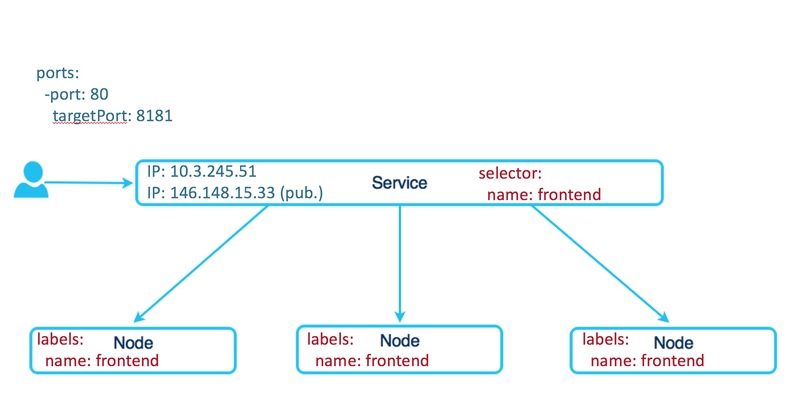 The approach to discover services by labels is one of the most flexible ways to do service discovery in Kubernetes and makes versioning of services very easy. A third approach for Service Discovery in Kubernetes is the usage of the provided environmental variables. This can be used to discover other REST endpoints of your application in a cluster, but it is not available in the Hazelcast / Kubernetes Plugin. To configure the Hazelcast service discovery, either a cluster.xml (Vert.x only) or a hazelcast.xml must be provided (the content is the same). Vert.x/Hazelcast scans the classpath for those files. If no files are found, the *-default.xml files are used. You can either put the cluster.xml file into your /resource/ folder or user - cp /folder/cluster.xml at start time. The following example is a valid configuration for the Hazelcast service discovery using the Kubernetes REST API. In combination with Vert.x we use Hazelcast typically for the communication (the event bus). When using Hazelcast to store data, you should configure the CPU/memory limits of your containers (since you may require a huge amount of memory). Also using a Kubernetes statefulSet might be a good idea, depending on your use case. A good example, how to build/deploy this scenario by creating your own Docker images and deploying the Kubernetes descriptors manually, you can find here. A more convenient way of working with Kubernetes and Java applications is to use the Fabrich8 maven plugin. This plugin works well with plain Kubernetes and OpenShift and allows you to specify your own Kubernetes descriptors inside the project. Instead of providing full descriptors of your Service, Deployment and ConfigMaps, you can specify only the delta with your "special" configuration. The rest will be added by the plugin while deployment. A working example for this scenario you can find here. The demo application is a Vxms application, which will be introduced in part 3. Since Vxms is built on top of Vert.x, you can use this application skeleton with all configurations 1:1 in a pure Vert.x application. To run the application in Kubernetes, you basically need to deploy a mongodb (kubectl apply -f kube/) and execute mvn clean install fabric8:deploy in all three projects (frontend, read, write). In terms of scaling (and some other things), there are some minimal differences between Kubernetes and OpenShift. Generally, you can deploy a "pure" Kubernetes setup in OpenShift (with Service, Deployment/Pod). When using the Fabric8 maven plugin for deployment in OpenShift, typically a deploymentConfig will be generated instead of a "plain" Deployment (or a Replication Controller). A deploymentConfig is an OpenShift specific controller that is not available in plain Kubernetes. Scaling is always applied to a Controller (Replication Controller, Replica set, Deployment and deploymentConfig in OpenShift). You can apply scaling directly, by setting a number of instances, or define an autoscaler, which scales your Pods in a defined range. Again, when using OpenShift, replace "kubectl" with "oc" and the "deployment" with "dc". In part 3, we will extend this use case by combining event bus with REST-based communication. I will show how to do RESTservice discovery using labels and how to communicate across namespace boundaries. I also will introduce Vxms, which is a modular framework on top of Vert.x.